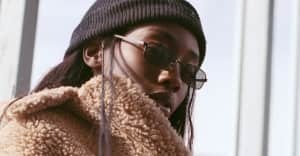 Stream the German-Ghanaian singer’s new project immediately. Ace Tee’s “Bist du down” is one of the most memorable songs of 2017 so far, even if you don't speak the German-Ghanaian R&B singer's native language. Dubbed "the new TLC" by one fan when it dropped back in January, the track now features on a new EP Ace Tee dropped today, September 8. The six-track Tee Time project offers a soft and melodic slice of Tee's experiences, including "Hamburg City Life" and "Bounce auf dem Beat." Rapper Kwam.E., who appears on "Bist du down," also contributes to each song on the fun and breezy EP. The pair live together in Hamburg. Stream the whole project below and read the FADER interview with Ace Tee here.